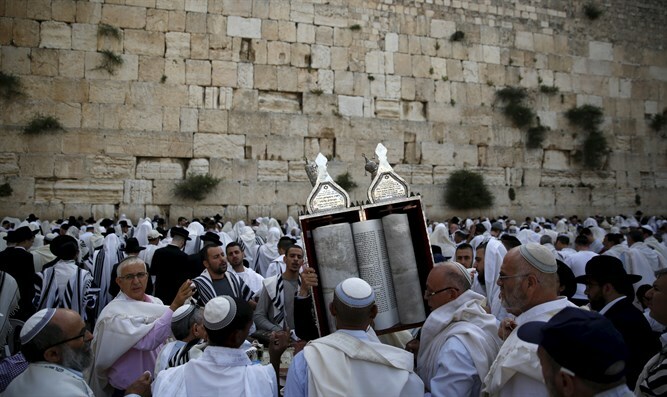 Despite last-ditch diplomatic efforts, UNESCO ratifies resolution negating Jewish connection to Western Wall and the Temple Mount. Despite Israel's undertaking of last-ditch diplomatic efforts, the revote at UNESCO today on a controversial resolution denying the Jewish connection to the Temple Mount and Western Wall yielded the same result as before. Earlier, Mexico relieved its UNESCO representative, Andres Roemer, from his position, after he refused to vote for the anti-Israel resolution - in opposition to Mexico’s official stance. In any event, Mexico changed its mind on the issue since then and, whether due to pressure from other more Israel-friendly countries or because of internal pressure from the Mexican Jewish community, called not only to change its vote, but to hold a revote on the question altogether. Israel stepped up its diplomatic efforts after it became known that Western countries - some of which had even voted against the resolution in the first place - were pressuring Mexico not to make precedent-setting use of “Paragraph 47,” which forces a revote - but, rather, to settle for a declaration of change of vote and stance on the issue. According to assessments, those countries feared that a Mexican precedent would open the door for the rampant use of revotes on issues presumed to have already been settled. Although Jerusalem waged intensive diplomatic efforts up until the time of the vote - despite the official break granted to Israeli diplomats today for the second day of the Jewish holiday of Sukkot - the result remained the same.